In the light of surveys conducted with people active in the MICE travel industry at the IMEX in Frankfurt in Spring 2007, it is clear that interest in Central and Eastern European countries is constantly growing. 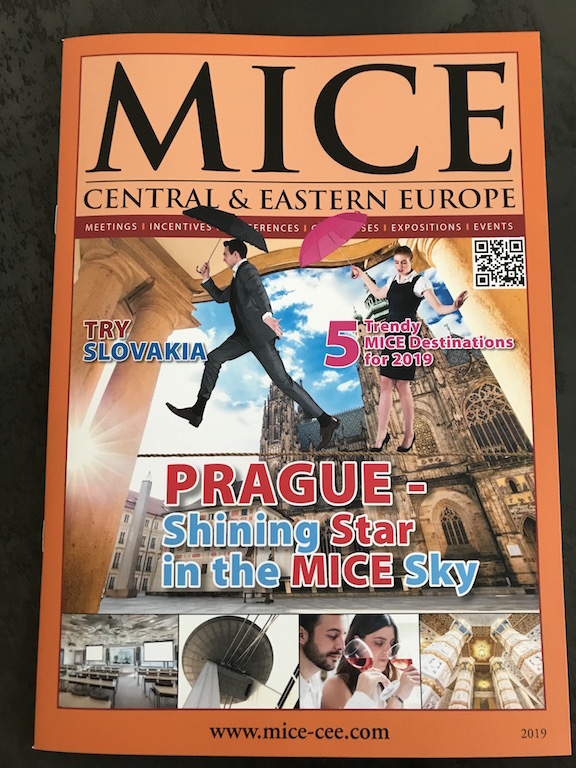 In spite of this interest, a quality presentation of this region was lacking, and so we started publishing the luxury magazine MICE CENTRAL & EASTERN EUROPE. Our magazines are indispensable guides and source of information for all international meeting planners – those responsible for conferences and business trips, such as decision-makers within companies and corporations, PCO´s and DMC´s, incentive agencies, representatives of associations. They are also used as representative material distributed at foreign embassies and Chambre de Commerce in the CEE countries. We are a media partner of the most important MICE trade fairs and so you can pick up a copy onsite, or you can write to us to receive your copies, which will be sent directly to your office. You can also become a reader – just click at the banner REGISTER NOW!